This unique soap is produced only in Thailand. More than 1000 years ago in Thailand, the fat obtained from pythons was used as an ingredient of traditional medicines and natural cosmetics. The snake's fat can whiten melasma spots and make the sking bright and soft to the touch. It can protect your skin from dryness, dark spots, limpness and iritation. 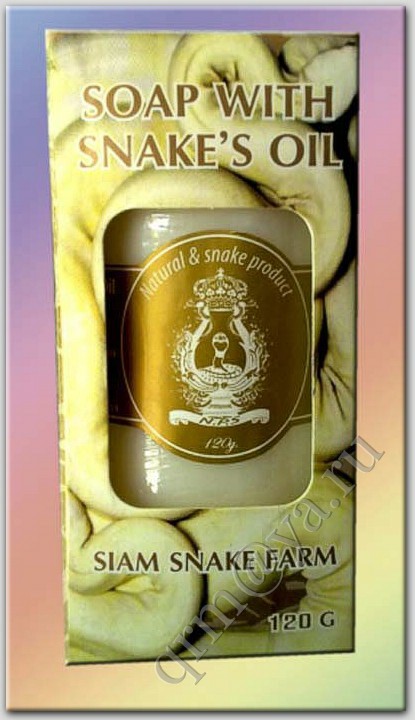 Snake's oil helps to exfoliate the dead skin cells and rejuvenate your skin. Also good for your hair and scalp. Click the button below to add the Soap with Snake's Oil to your wish list.